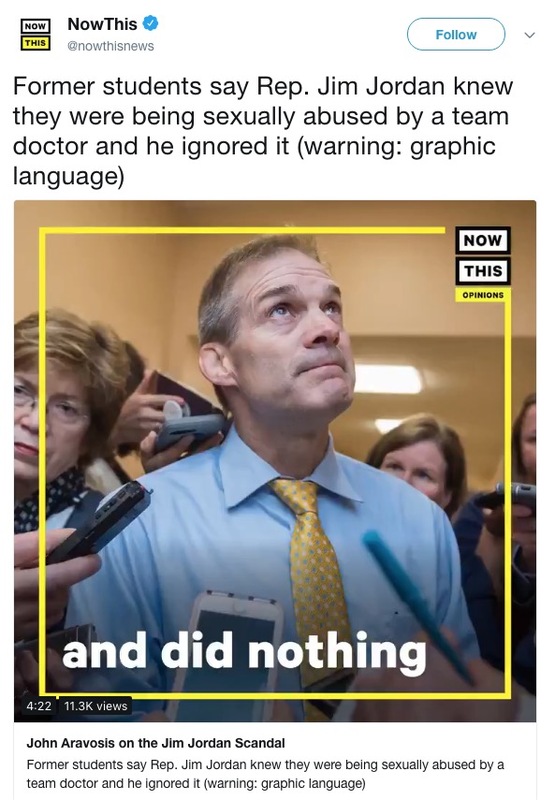 NowThis asked me to narrate a video about Representative Jim Jordan's horrific abdication of responsibility for his wrestlers who were sexually assaulted while he was their coach at Ohio State. Please watch it and share. It matters. © 2018 AMERICAblog Media, LLC. All rights reserved.